If you consider yourself an avid shopper, you are definitely aware of the sales and deals around you, but how many times have you done the math to be absolutely certain you are getting the best deal? Let’s assume a pair of shoes you want is marked down to $49.99 and you can also take an additional 20 percent off the price whereas another pair is also $49.99 but with a $10 discount. Which would you choose? 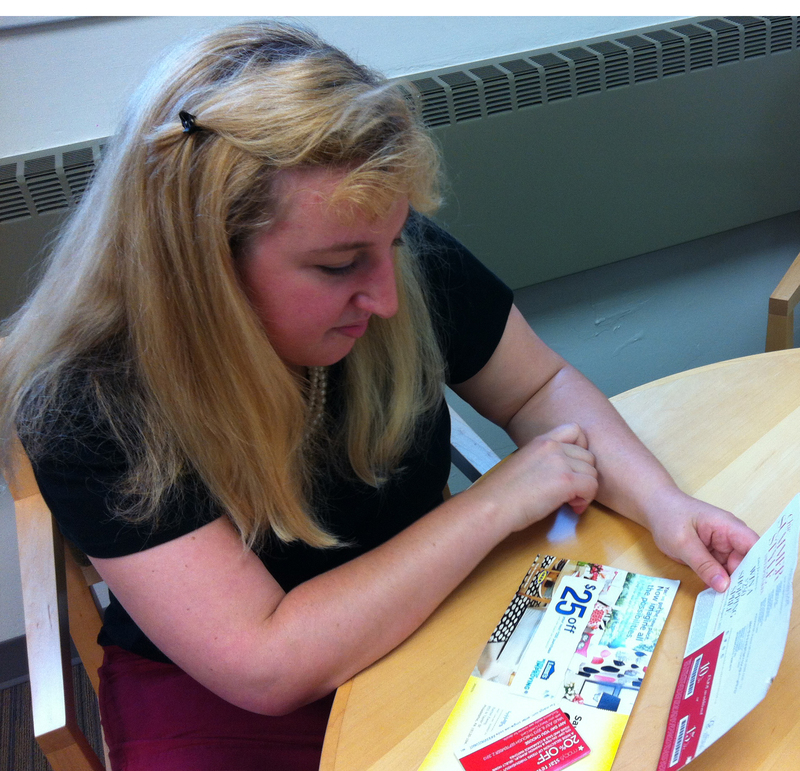 Drexel student Alissa Falcone contemplates which coupon to use when she goes shopping. If it took you a while to figure out that the discount is exactly the same, you are in good company. According to a recent paper published in the Journal of the Academy of Marketing Science by a team of researchers headed by Drexel LeBow College of Business professor Rajneesh Suri, for the majority of consumers the dollars-off format will seal the deal, rather than a percentage-off format. That is because consumers get anxious when they have to do basic math in a retail environment. What is math anxiety? Simply put, it’s the feeling of dread that interferes with manipulating numbers and solving mathematical problems. Math anxiety, according to previous research, affects a considerable portion of the population and has nothing to do with one’s actual ability to do math. Suri and his colleagues found that the more motivated consumers are to make a purchase, the more apparent the effects of math anxiety become. This means your decisions may get worse when trying to calculate and compare prices for large purchases such as a car or even a house. Retailers use the regular price as a frame of reference for consumers to gauge the value of their purchase. “Leaving the responsibility on consumers to calculate net prices or discounts could actually lead them to save less money or may result in suboptimal decisions,” said Suri. With math anxiety affecting such a high level of the population and having the ability to transfer from person-to-person, what can consumers do to overcome their anxiousness? The answer is not all that difficult: Maybe let the smartphone do the math for you.